A film based on an apparently un-filmable novel is always a risky venture – but did they pull it off? Cloud Atlas is based on six separate stories which intertwine with characters and themes, while spanning hundreds of years of human development. The stories vary in style with comedy, thriller and science fiction all at home in the expansive picture. The film is helmed by three directors underlining how complicated the film was to construct. 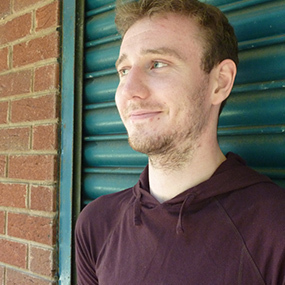 Tom Tywker is a perfect candidate for the art house scenes with a back catalogue which includes Run Lola Run and the short film based Paris je t’aime whereas The Matrix directors, Larry and Andy Wachowski, work well with sci-fi aspects and high end action sequences. The interconnecting stories switch between each other, at times rapidly, and sometimes show a few frames of a particular story over another. In doing so, Cloud Atlas has remarkable pace for a film of this magnitude and creates more excitement than there would necessarily have been otherwise. The actors including Halle Berry, Ben Whishaw, Hugo Weaving and Jim Broadbent, all play multiple characters mixing genders and diversifying roles drastically. For example, Tom Hanks plays a typical American hero, a backwards sheep herder, a terrible London gangster, and a humble woman all too astonishing effect. The story which gets the most screen time is the Luisa Rey mystery which centres on a conspiracy within an energy company with people being shot, blown up and even a car driving off a bridge. This comes as no surprise as the film is heavily dormant in action while the Luisa Rey segment brings much needed drama for blockbuster lovers. But a blockbuster this certainly isn’t. With a large budget and astonishing cast, this film could easily draw a larger audience than it warrants. However the film won’t be enjoyed by all focusing on the human psyche: listing slavery, business-greed, and revolution as major themes. 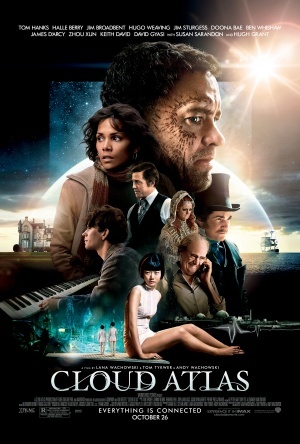 For a challenging and eye-opening movie, Cloud Atlas is simply a joy. With drama, thrill and comedy (provided heavily by Jim Broadbent) the directors have achieved their aim of filming the un-filmable.